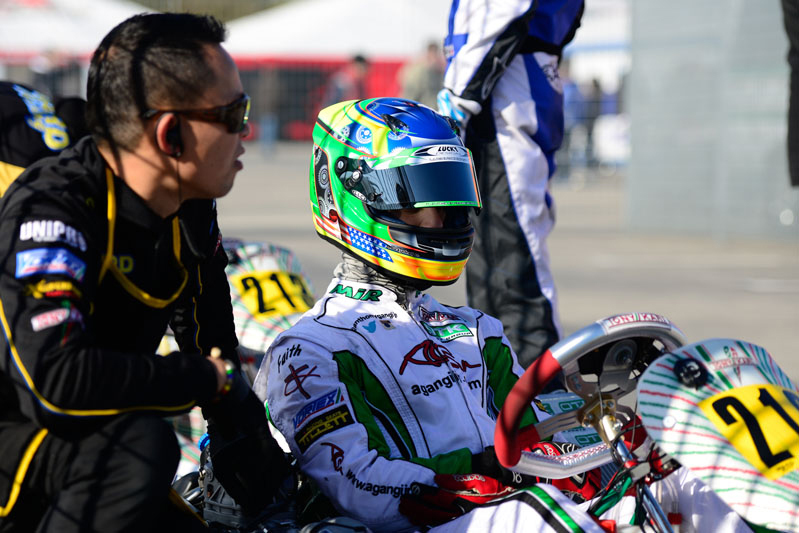 Working with Sweden-based Ward Racing with Matsuura Masanori as mechanic, this powerful combination of knowledge and talent put Gangi Jr. in position to battle with the world’s best. 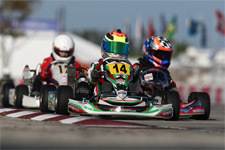 Plagued with a stuck power valve in qualifying, and ranked 35th overall, Gangi Jr. would have to make up ground in his two heat races. Moving up to 18th in Heat B vs C, the rising talent only mustered 26th in Heat A vs B after leaning the carburetor out too much. 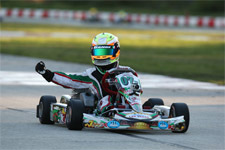 Classified 35th overall after heat points were tabulated, the Brookville, New York resident found himself in Prefinal A in his shot to make the WSK OK main. 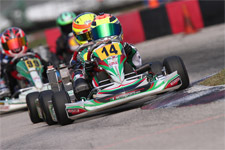 With the top 17 drivers from each prefinal transferring to the final, Gangi Jr. comfortably raced his way to the weekend’s premier event, placing eighth after the 16-lap Prefinal A. 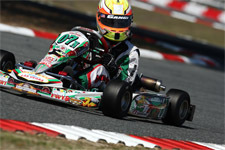 The multi-time karting champ then wrapped up a strong debut performance with an 11th place on track result overall in the final. 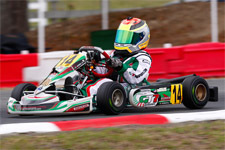 During the race and battling wet conditions, Gangi Jr. went off track and hit a speed barrier. This would result in a post-race penalty for his front fairing being in an incorrect position, adding ten seconds to his overall time putting him back to 17th. 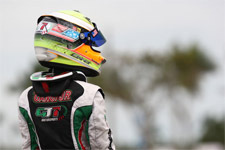 “I have to thank my driver coach and mechanic Matsu for all the help, as well as everyone at Ward Racing,” concluded Gangi Jr.
Up next for Anthony Gangi Jr. is the 21st Winter Cup at the South Garda Karting facility in Lonato, Italy February 17-21.